Earn 600 Cute Points upon purchasing this product. 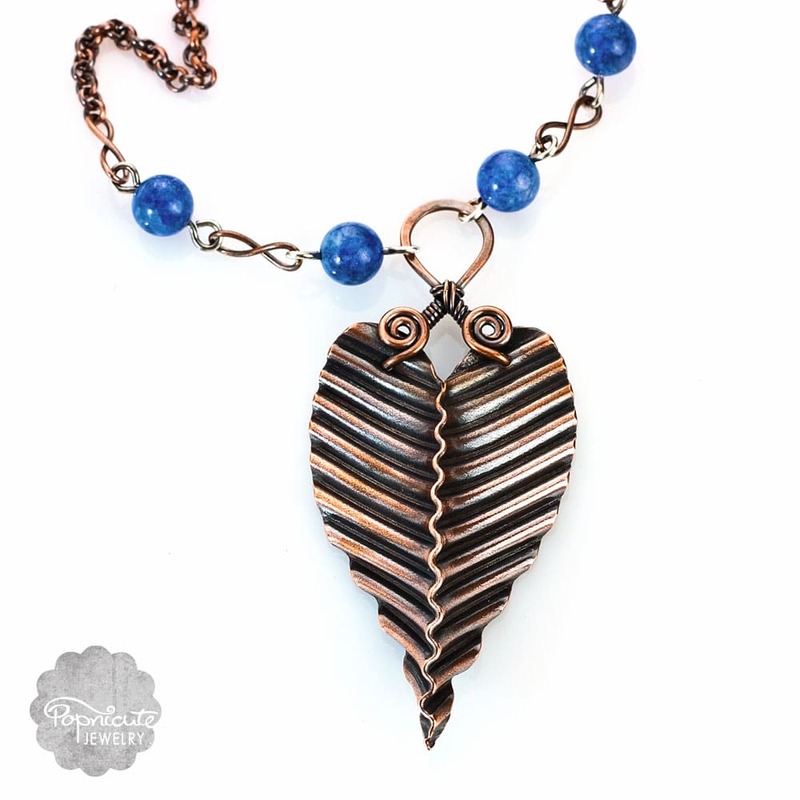 A unique design of a handmade copper leaf necklace. 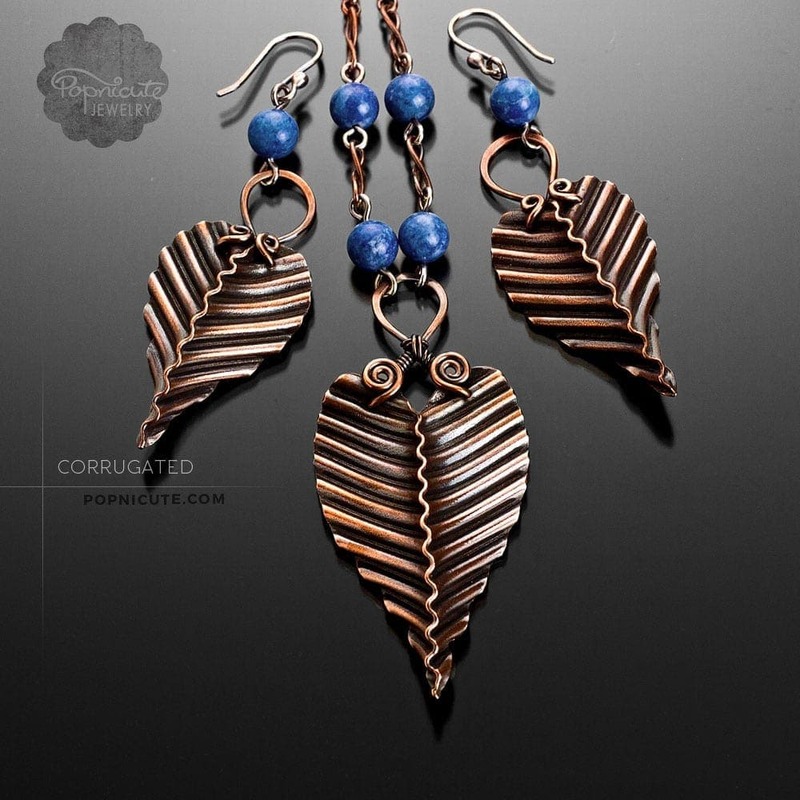 This design is a new addition to my Corrugated collection. 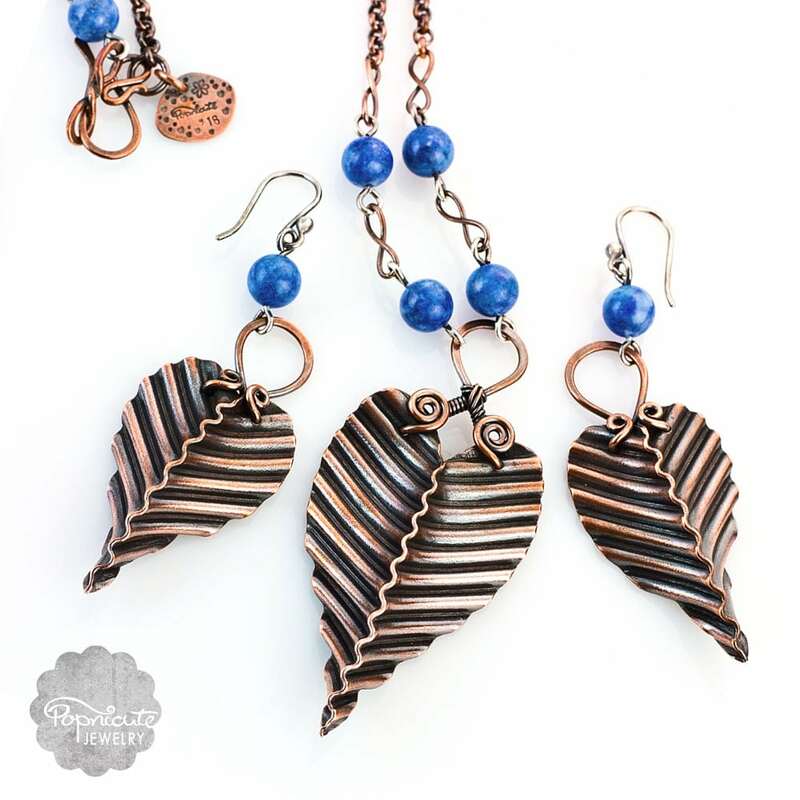 They are so darling and you’ll surely get noticed wearing them. Bold and beautiful. LENGTH: Pendant is 3 inches (76 mm) long including the bail. NECKLACE: approximately 18 inches long. Does lapis lazuli speak to you? A pair of corrugated handmade copper leaf necklace in a leaf shape with Denim Lapis Lazuli stone beads which are attached using Argentium silver wire as an accent. 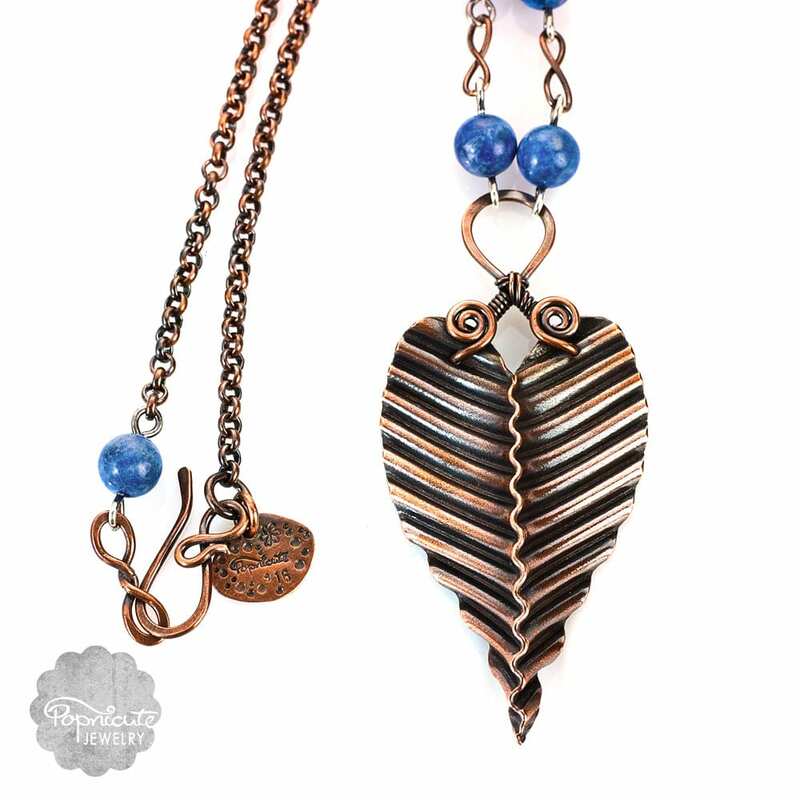 A spiral loop attached to the top of the copper leaf pendant whimsically as a bail. A copper chain necklace and handmade clasps made it easy to wear. I only have a limited amount of the Denim Lapis Lazuli beads so order soon before it runs out. I only have a limited amount of the Denim Lapis Lazuli beads so order soon before it runs out. 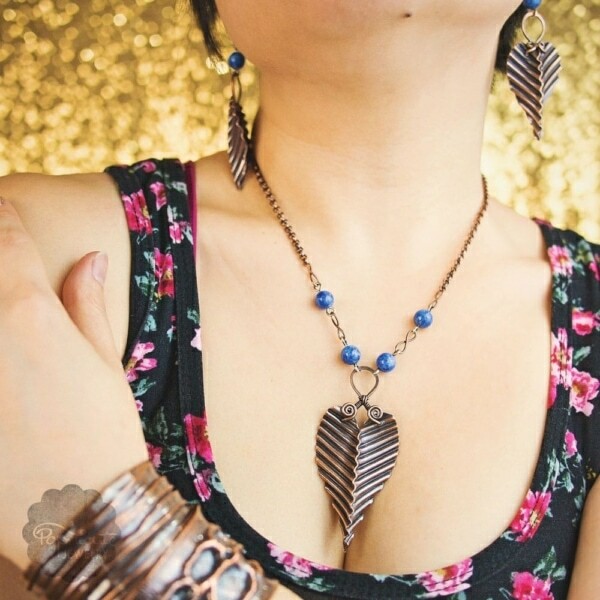 This necklace hangs beautifully at a comfortable weight, not too light but also not too heavy. If you’re hungry, the corrugated heart leaf shape may remind you of a pasta shape. LENGTH: approximately 75 – 80 mm long. WIDTH: 25 – 30 mm wide.